The construction of the Alaska Highway brought a new way of life to the Yukon's native people. It proved to be a mixed blessing. 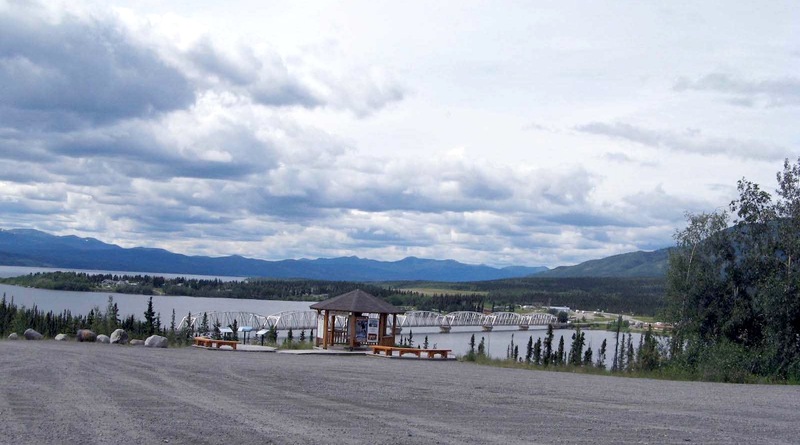 The impact on the people of Teslin is a good example. When World War II began, the majority of Teslin's native people lived at Johnston Town, at the south end of Teslin Lake. There they hunted, fished, and trapped, following traditions that fostered respect for the earth and its animals. Even after the arrival of white traders, contact with non-natives occurred only once or twice a year. When the highway came through, there were suddenly many strangers in the country who brought machinery and foreign ways. The soldiers also brought disease with them. First nations had little resistance to even the common cold - let alone the dysentery, jaundice, whooping cough, mumps, tonsillitis, and meningitis that plagued Yukon's native population during the winter of 1942. Many died during the construction years.